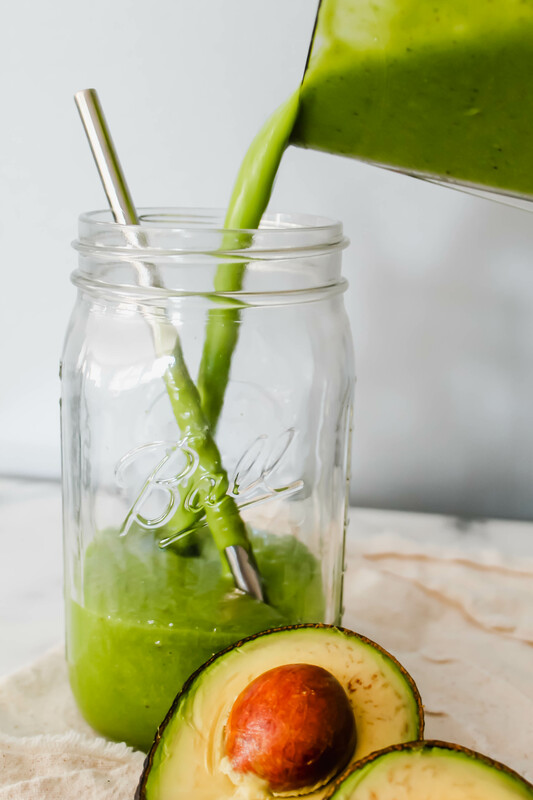 This might just be the most luscious, most delicious green smoothie you’ll ever have, this the reason I am sharing the recipe for this tasty Ultra-Creamy Avocado Kale Smoothie with you – because you deserve a delicious green smoothie in your life! Every morning, I wake up, wash my face, throw on my robe, and walk out to make my coffee. I sip said coffee while browsing emails and social platforms, but not really doing any work yet, as I am not caffeinated enough. 30 minutes later, I get up from my desk and decide what kind of smoothie I’m having that morning. Because my mornings need two things: coffee + smoothie, in that order. Recently, adding an avocado to my smoothie has made them extra creamy, so I’ve been obsessed with it lately. To make it incredibly healthy at the same time, I make sure to add a leafy green like kale, watercress, or spinach to the mix. Throw in whatever frozen fruit I have in the freezer, some non-dairy milk (or just water if I’m feeling lazy) and we are ready to take on the day! This Ultra-Creamy Avocado Kale Smoothie is just the thing to start your day energized. It’s a smoothie that is packed with nutrients and tastes delicious. I use this recipe as the base, but mix it up daily with additions like a splash of maple syrup or raw honey, some cilantro stems for heavy metal detoxing, and sprinklings of chia, bee pollen, flaxseed and more depending on my mood. Go ahead, you straw awaits! 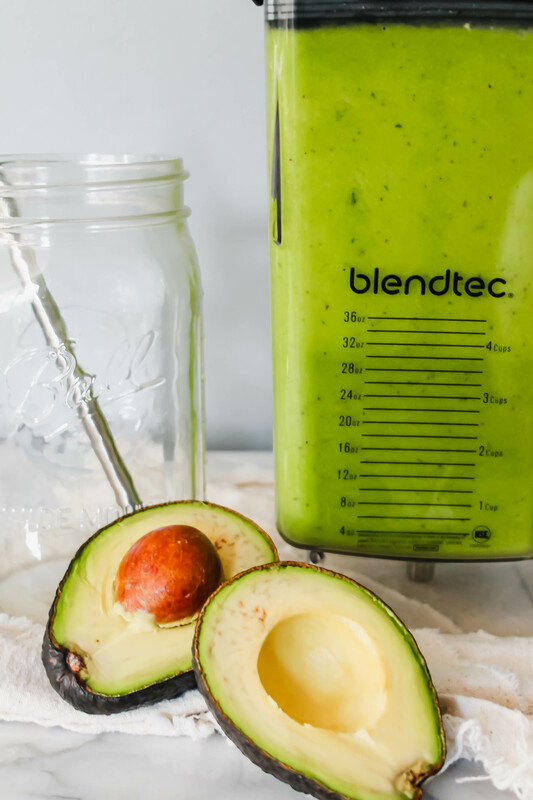 This Ultra-Creamy Avocado Kale Smoothie recipe is just what you need when you're craving something nourishing and delicious! In a high-speed blender, blend everything but the ice until smooth. This is the time you can add extras like bee pollen, chia seeds, or anything you'd like. Scrape down, and if smoothie is too thick, add more liquid (milk or water). Add ice and blend for another minute - serve immediately.